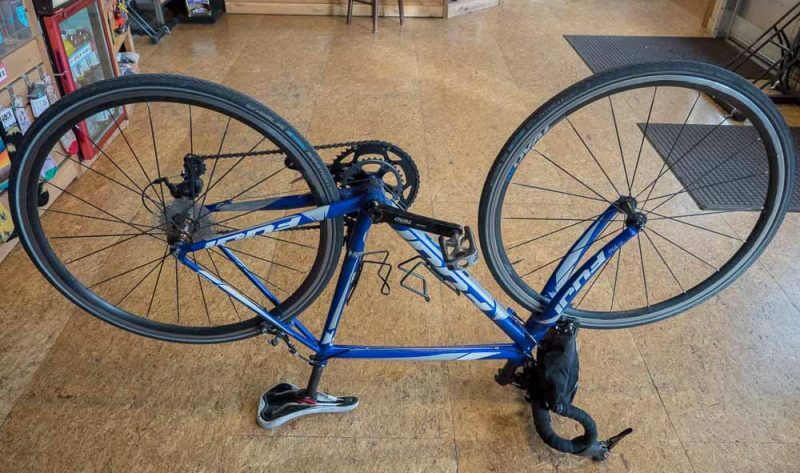 Bike theft is a great example of bad things happening to good people. We hear a lot of cases of this from people who come into our shop. Yesterday a preschool teacher told me both her wheels had been taken off her bike in broad daylight outside the school where she worked. This is among the lowest of crimes, but it need not be inevitable. That said, I’m sure if your bike is stolen, you’ll want to recover your bike. Before you do anything else, register your bike! Seriously, open up a new tab and go to bikeindex.org. Make an account and register your bike. A photo is super helpful, and the more detailed description of your bike the better. At least include the make and model of your bike. But the key is the serial number. This is your bike’s unique number that can be used to positively identify it in the event it is stolen. 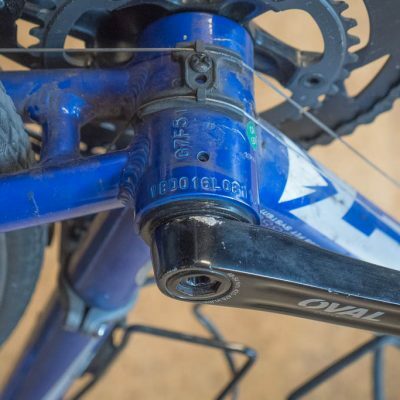 To find it, turn your bike upside down and look for a number stamped into the frame near your crank. On your, the code may be at any of these locations. We run serial numbers of bikes that come into the shop. From time to time we do find that the bike is listed as stolen and we are able to return the bike to its owner. What is more discouraging is when we see a bike with many signs it has been stolen, but searching the serial doesn’t find anything because the owner failed to register the bike before it was stolen. The only thing better than not losing your bike is the amazing feeling of relief and content when you recover your bike! When your bike is gone it is too late to record the serial number! Practicality plays a role, sure. You aren’t going to ride everywhere with a vault and armed guards to protect your bike. Good news is you can prevent the vast majority of bike theft with basic equipment and vigilance. While no security is absolute, bike theft is usually committed by opportunists looking for the lowest hanging fruit. The first thing you’ll need is a strong lock. We recommend a U-lock as a minimum precaution. We carry Kryptonite locks in a range of security levels and sizes. I’ve heard plenty of stories of shocked ex-owners who insisted they locked their bike. When pressed, they usually admit they used a cable lock. The same preschool teacher I mentioned earlier told me she once woke up to find a shopping cart locked to her bed with a cable lock. She was able to cut it off using a basic pair of scissors and a little persistence. If you’d like to protect your wheels from getting stolen, using a cable to secure your wheels in addition to a U-lock is a good idea. Just don’t use a cable lock by itself. For even more security, consider replacing quick-release skewers with locking skewers. We carry several kinds, ranging from skewers that can be removed with basic tools to ones that require unique keys (the most secure option). We use locking skewers for all our rental bikes and recommend them for anyone looking to keep their wheels safe. At the very least, Make sure to capture the main triangle of your frame and your rear wheel with your U-lock. Believe it or not, I’ve seen bikes in downtown Portland with only their wheel locked to a post. Once I even saw two bikes zip-tied together around a post. Don’t let this be you.